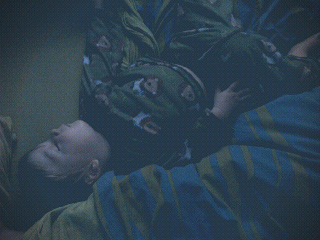 When Sprout wakes up in the morning, Papa fetches him from his crib & brings him into our bed. Unless we have somewhere to go, Baby will have a leisurely feeding & often fall asleep for another hour or two. I appreciate the extra sleep, but I am generally balanced on the edge of the bed. Bed share: Papa, 20%; cat, 5%; Mama, 15%; Baby, 60%.